From the outside, a teenager’s life seems like it's all about that carefree vibe, with endless fun. Cut to 2017’s reality, where teen girls aren’t exactly living that life. Poked, prodded and trolled for their dressing and sexuality, they often come up against unrealistic expectations and judgement when it comes to their body, behaviour and choices. To make it worse, social media fuels their insecurities, leaving them vulnerable and ready to go to extremes for validation. 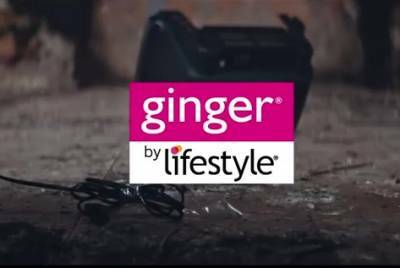 Ginger from Lifestyle, a brand that’s all about the 15 to 22-year-old girls decided it’s high time we give our ladies a break from those expectations; and we did it, no holds barred. Here’s calling out all those silly demands of perfection – the unfairness around ‘fairness’, the whole sexuality debate, the body shaming, labeling, and everything else in between. Servicing: Vigyan Verma, Arunava Sen, Sravani Rani.